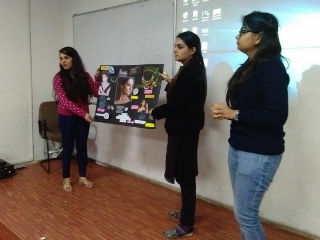 JIMS Retail Club - Credor organized Poster making competition on Retail brand positioning. 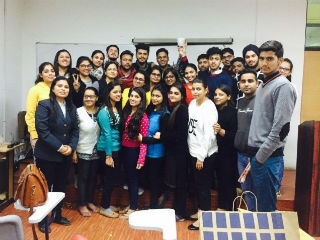 It was held on 7th December, 2016 for PGDM-RM (2016-18) students. 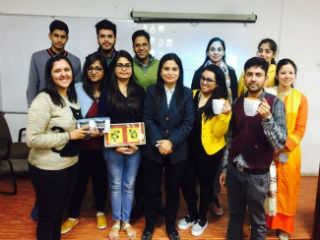 The students were introduced with the concept of Retail branding. As every Retail brand has an image that image is created through right brand positioning in minds of customers. This was the theme of competition. There were 12 teams of students. Each team chose a product category for which a retail brand was developed. Poster clearly reflected the concept of: Brand Name, Target Customers group, Image of the retail Brand, Presence in different retail formats and Strategies to be developed by brand for increasing footfall. 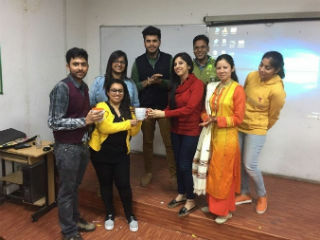 The concept came out very well and students really enjoyed and learned a lot through this activity.